We'd all seen them, small fluffy creatures wearing equally small, fluffy or knitted creations making us wonder if the owner has any unresolved baby or dress-up issues, because let's face it, why would you put designed for a human clothes on any animal? We seem to be okay with horses wearing saddles, camels and elephants - whatever that contraption is called, so what, you wonder, happened with dogs? Why are they special? 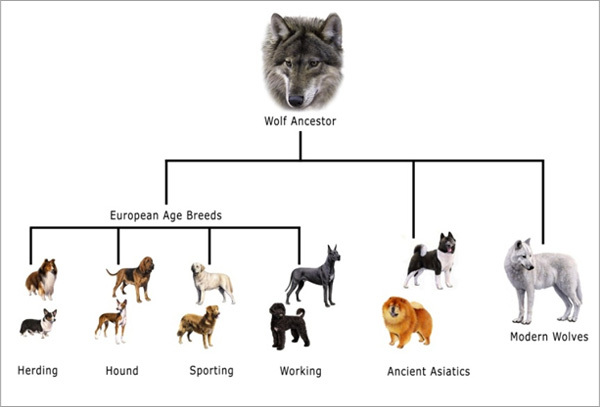 Since humans are obsessed with messing with innermost structure of things, dog's original DNA was no exception. After all, making them leaner, meaner and faster, humans must have gotten inspired and kept going - they changed its size, length, size of their eyes, brain location (as in Chihuahuas), fluffiness and height. We engineered our best friends to suit our needs and whimsies. What dogs got left with is consequences not unlike those seen in "The Fly", basically one big genetic manipulation galore. Picture a wolf, it's proud majesty and all that fur. In fact most, un-messed around with, breeds have two layers to their coats: the regular coat you see and the undercoat you don't. The undercoat was designed by nature to keep water away from the animal's skin when swimming, and wind - when walking in someplace like tundra. Dogs' average body temperature is about 101 to 115 degrees to human's 98, so they are built as more "warm-blooded" than we are. However, humans decided that since dogs now live primarily indoors where it is warm and no longer windy, they obviously can do better without that pesky nature's creation of the undercoat. Not to mention, who wants to keep brushing it out to avoid fur all over your furniture every other day? Hence, humans did away or diminished presence of one of the best natural weather repellents in dogs. Guess what happened as a result: dogs now freeze when taken outside. Their bodies can no longer compensate. They shiver and shake. You would too. You already do. So, by creating a miniature version of a fur-less human to accompany us, we inevitably endowed it with same problems that bane us. Then came an idea to dress our now frozen companions the way we dress ourselves and the whole industry was born. Any companion or toy breed guys - shi tzus, pugs, chihuahuas, malteses, italian greyhounds, whippets and such need something to wear. Some of the terrier group's representatives do too, as well as those whose coat humans clip to keep from matting. 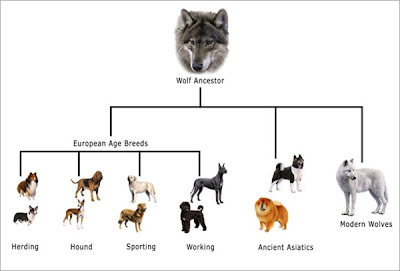 Just think, how close does your dog resemble that wolf in your imagination fur-wise? If it doesn't - help them. 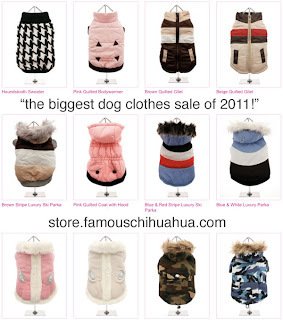 Veterinarians recommend against dog clothes for breeds that have long hair or were bred to withstand winter temperatures. You know, your friendly neighborly Saint Bernhard or a Husky. Also, make sure you don't keep them dressed indoors all the time. Yes, a yorkie in that Packers' pajamas is a site to see, but you are also endangering that animal's skin by inviting various skin diseases as a result.